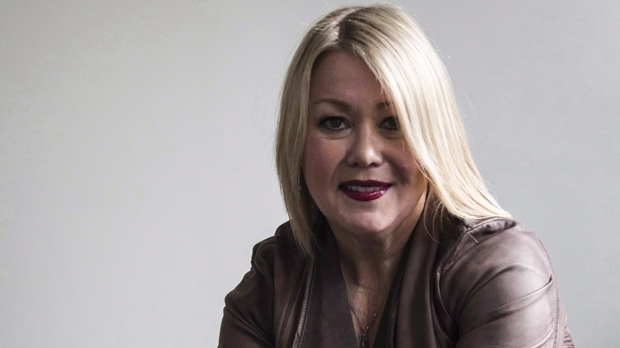 TORONTO -- Canadian singer Jann Arden has always had a realistic outlook on death. Growing up in Springbank, Alta., she saw farm animals die and had frank discussions about such matters with her parents, who didn't view death as a taboo topic. "When my parents started getting sick and we were just little kids, my mom used to say, 'Well, you're going to die someday, so you better get living,"' the eight-time Juno Award-winning artist recalled in an interview. Arden has expressed such a viewpoint in interviews in the past but didn't realize what kind of an impact it might have until this week, when she was surprised to see her words of wisdom in the highly anticipated new book by former FBI Director James Comey. The quote attributed to Arden -- "To not think of dying, is to not think of living" -- kicks off the book's first chapter, titled "The Life." "It's really fascinating. I'm very touched by it and I think it's really cool," Arden told The Canadian Press by phone Tuesday, the day the book hit shelves. "I know how important words are to me and I'm glad that it resonated with him. 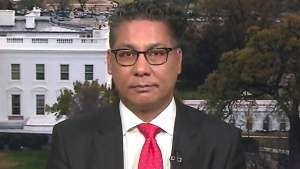 I think he's in a precarious position and has taken a lot of blows the last year or so, and I hope he's part of the equation that brings down this guy -- that brings some light to this presidency." Arden said she's seen the quote attributed to her a couple of times in other circumstances. She thinks it came from an interview she did "many years ago," perhaps from a health and wellness magazine. "I always find that people gravitate towards that quote," said the singer-songwriter, who's known for hits including "I Would Die For You" and "Insensitive." "I read about these guys at a university in the States that had used that quote as well and I wonder if (Comey) took it from a speech that they had given and attributed to me. I'm not sure. Who knows. We'll have to ask him someday, huh?" Not that Arden has plans to run into Comey any time soon. She said she doesn't know him and had no idea she was on his radar. "I'm pretty sure he has no idea that I'm even a musician," said the always quick-witted Arden, who's written three books, had various TV stints and produced two documentaries. Arden first learned of the quote in the Comey book, "A Higher Loyalty: Truth, Lies & Leadership," on Twitter on Monday night. She then downloaded the book onto her tablet and planned to read it on a plane to Toronto on Wednesday. "I had a really good chuckle last night, went to bed with a smile on my face," Arden said. "You really get a sense of how big words are and that they make their way, and that they mean things to people -- people that you would never imagine meeting or knowing or anything else." As for the quote itself, Arden sticks by it. "I'm always fascinated by people who are like, 'Oh, I don't want to talk about (death)' or they don't do a will. Like, do your will -- don't screw up your entire family. It's a nightmare being an executor when nothing is organized," Arden said. "I have said that a few times: you have to think about dying. You have to just think about it, because it's liberating."